​The Sustainable Groundwater Management Act explicitly states that nothing in the legislation will alter surface or groundwater rights under the common law. However, the legislation requires groundwater basins be managed to prevent the “undesirable results” caused by extraction of groundwater. This begs the question: how will these two seemingly-opposing provisions of the legislation be reconciled? 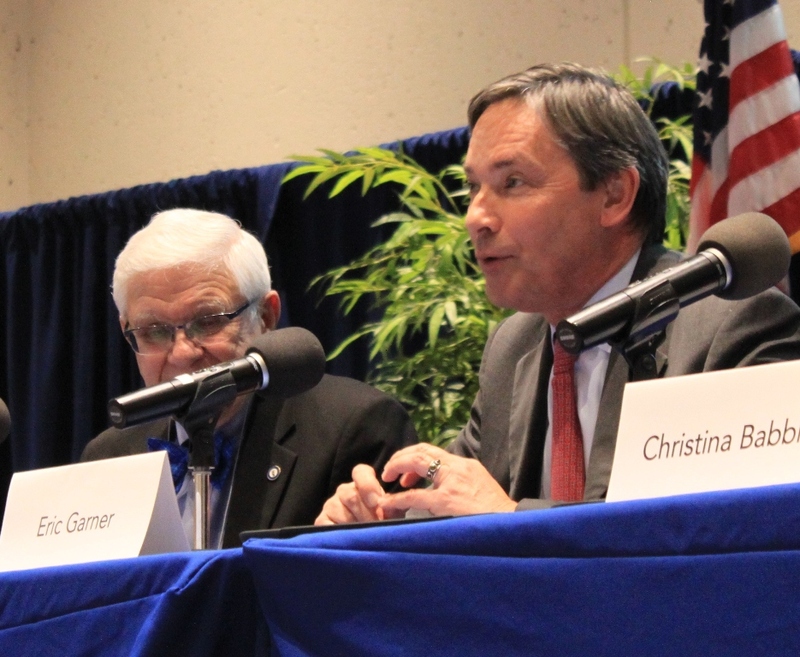 At the 2019 California Water Law Symposium, Eric Garner, managing partner of Best Best & Krieger, and Christina Babbitt, Program Manager for Groundwater at the Environmental Defense Fund discussed groundwater adjudications in the new age of groundwater management under Sustainable Groundwater Management Act in a panel discussion moderated by the Honorable Ronald Robie. This panel was organized by students from McGeorge School of Law. The Sustainable Groundwater Management Act (or SGMA) became effective on January 1, 2015, which required all basins designated as medium or high priority to form local Groundwater Sustainability Agencies and develop Groundwater Sustainability Plans to achieve sustainable management by 2040/2042. Sustainable yield: The maximum quantity of water calculated over long-term conditions in the basin, including any temporary excess that can be withdrawn over a year without an undesirable result. Sustainable groundwater management: The management and use of groundwater that can be maintained without causing an undesirable result. Undesirable results: The persistent lowering of groundwater levels, a significant reduction in groundwater storage, salt water intrusion, degradation of water quality, significant land subsidence, and surface water depletion. 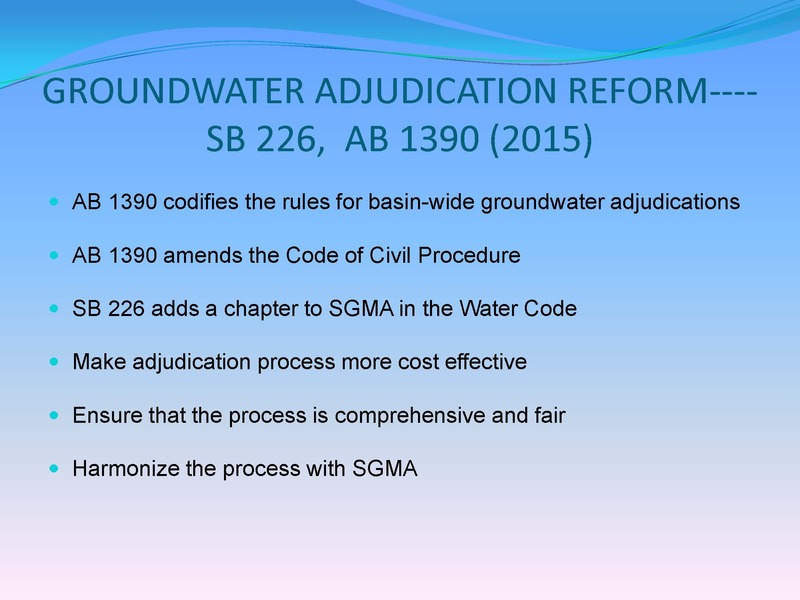 In 2015, the legislature followed up passage of SGMA with groundwater adjudication reform legislation in an attempt to make adjudications less lengthy. Ron Robie asked Eric Garner if groundwater adjudications are going to be the way going forward, or will there be lawsuits between individual pumpers? Eric Garner began by noting that while he has done a substantial number of adjudications, in all of them, he has represented public agencies – either a city or a water district, so his comments will reflect the perspective of his clients. And despite having spent 30 years involved in adjudications, he remains optimistic about the ability to solve groundwater problems in California. Mr. Garner then discussed the history of adjudications around the state to set the stage for the upcoming discussion. Until 2014, groundwater was not regulated by the state; it was ‘pump until a judge tells you not to.’ Basically only a ministerial permit from the county was needed to make sure the well complied with health code safety requirements in how it was drilled. Then you turned it on and pumped, unless your neighbor sued you or unless you got caught up in one of these big lawsuits and a judge told you, you had to pump less, he said. 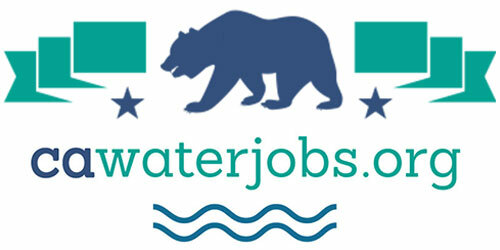 Historically, California water rights to groundwater developed with a different types of rights. There are overlying rights, which are landowners who pump water and use it on their land, and appropriative rights, which are pumpers that basically take water and export it out of the basin. 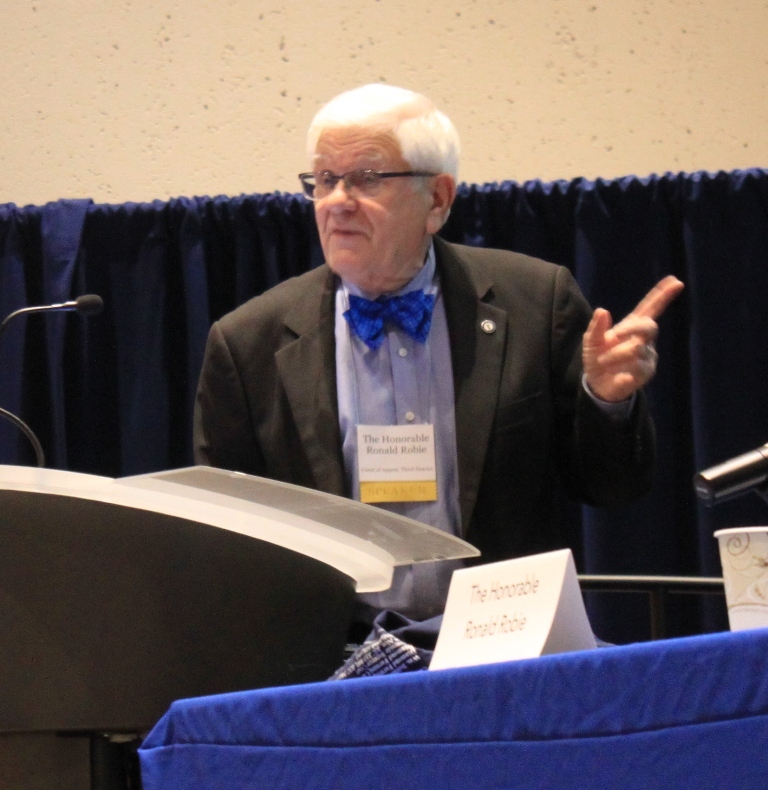 Mr. Garner cautioned that there is a nuance to that appropriative right that comes from an old Supreme Court case which laid the groundwork to say that if a water supplier puts groundwater they pump in a common system, and then distributes it to its inhabitants, even if it’s overlying the groundwater basin, then that’s an appropriative use. That is important because an appropriative use is junior to an overlying use, so this means effectively under the common law that overlying rights, which are primarily agricultural farming rights, have a priority over a city pumping water out of a groundwater basin and delivering it to its residents and that is the common law in the state of California to this day, he said. Adjudication is just a fancy word for suing everybody in the basin, and to resolve groundwater rights, you have to bring in all the users. In 1949, the Supreme Court took up the case, Pasadena v. Alhambra; it was the first time that a conflict between city appropriators and farming overlyers in a basin in overdraft where there was insufficient water had made it to the Supreme Court. If they followed the priority system, the overlyers win and the cities are cutoff. And so mutual prescription was considered the law of the state of California until the case, Los Angeles vs. San Fernando, was filed in 1955. This case had a different fact pattern than Pasadena v. Alhambra. Everyone had started pumping before the overdraft began, and because water levels were falling, the City of Los Angeles started importing more water from the Owens Valley, which had ramifications that played out in other litigation, and so they reduced their level of pumping. Justice Ron Robie notes that SGMA says it doesn’t affect water rights in any way, and so nothing in the Groundwater Sustainability Plans is going to create a right or take away a right from anybody. So that absence then may mean the law in Mojave is still going to be significant. He pointed out that what brings settlements about in adjudications is people having to go to court and prove their water rights, so they did try water rights. “It’s the first time prescription was actually tried because it had been stipulated to in the prior cases where it had been involved, and we were successful in proving prescription and it was upheld on appeal,” he said. Justice Robie noted that during the Antelope Valley adjudication, Mr. Garner’s client, the County of Los Angeles, hired people to fly over the farms to measure the acreage that was being farmed, as nobody really knows because you don’t have to report. “They had to spend money on that kind of discovery to figure out if these people were really telling the truth when they put their claims,” he said. Mr. Garner noted that the case started before the technology was anywhere close to where it is now, and acknowledged that in fact, they did do that. WILL ADJUDICATIONS CONTINUE UNDER SGMA? In terms of the future and where things are headed, Mr. Garner said that he does think there will be continued litigation in the future. He noted that he is currently involved in an adjudication in the Las Posas Basin; the GSP is not even in place yet and a group of landowners have filed a lawsuit. Another lawsuit has been filed by the City of Ventura that mostly involves the Ventura River but implicates two groundwater basins that are interconnected with the river. Ron Robie noted that SB 226 and AB 1390 that passed in 2015 changed some things to streamline adjudications and harmonize the process more with SGMA. Previous adjudications were under common law. The new legislation codified the rules for basin-wide adjudications; it amended the code of civil procedure, and also added a chapter on adjudications in SGMA. Mr. Garner noted that service (meaning notifying landowners of the adjudication) is difficult and expensive, so the new legislation now allows for service by publication, which will be a big timesaver. Other elements of the streamlining legislation include presumption that adjudications are complex so they will now automatically go to a judge that handles complex litigation; the court can divide the case into phases; there are limitations on discovery, and measures to prevent relitigating issues. It also requires the court to consider some matters in advance of other things, such as deciding prescriptive rights; it authorizes the appointment of a special master which is not under the present law, and it requires all parties all serve the quantity of groundwater extractions for past 10 years, type of water rights claimed, purpose to which groundwater is being used, and other data. “The groundwater adjudication law is going to speed things up if it works, and we’ll see if it does,” said Justice Robie. Next, Christina Babbitt discussed the work that the Environmental Defense Fund (EDF) is doing to help GSAs and stakeholders to resolve issues without having to resort to adjudication. First, she explained the mission of the Environmental Defense Fund, which is an international environmental non-profit that works across numerous natural resource issue areas to devise solutions that work both for people and for nature. Science and economics are at the foundation of the work that we do, she said. EDF strongly believes in the role of trading to achieve better outcomes for both the natural environment and resource users as long as these programs are designed well. EDF works on programs such as carbon markets, catch share programs for fisheries, and designing crediting programs for habitat enhancement and protections. Ms. Babbitt is part of the EDF team working on western water issues, and in particular, she is working on surface and groundwater markets which they think offers a lot of promise in working towards solutions. She noted that EDF has a long history in working on water trading in California, specifically healthy water trading. In her presentation, she said she would be deviating somewhat from the topic of adjudications to discuss water trading and allocations, but there is a strong nexus with adjudications as clearly defined groundwater pumping rights are the foundation for any trading program. 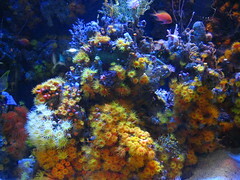 She began with the potential role of water trading under SGMA. Under SGMA, overdrafted basins will need to decrease their dependence on declining groundwater resources. This will be perhaps most acutely felt in the San Joaquin Valley where there are predictions that up to 750,000 acres of irrigated land will need to go out of production to comply with SGMA, she said. Many GSAs will inevitably need to impose reductions in pumping to achieve sustainability goals. 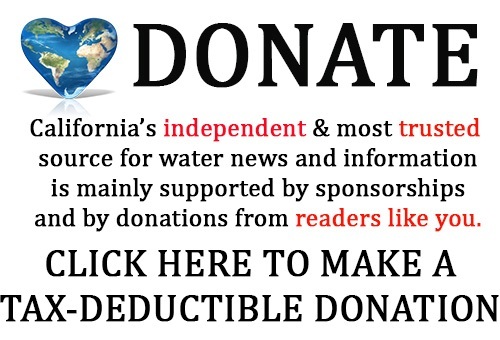 Water trading in California will increase under SGMA, and in fact, it’s already starting in Ventura County with Fox Canyon Groundwater Management Agency implementing the first groundwater trading program under SGMA. EDF is working on establishing a water trading program in Kern County, as are other parts of the state. 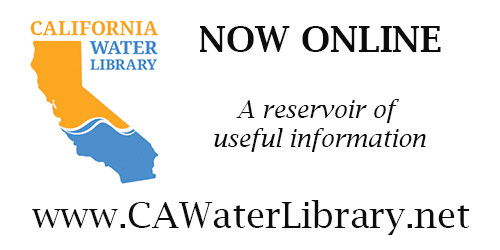 Ms. Babbit noted that water trading is definitely not new to California; it’s been happening for some time, both through informal and formal mechanisms. Adjudications have helped pave the way for some of these markets by parties having clearly defined groundwater pumping rights. Groundwater trading programs are an important tool to help people manage their water more flexibly, which can be a motivating factor in settling adjudications, she said. She also noted that water trading programs are now going to have to be designed to comply with SGMA which means addresses the six undesirable results, including declining groundwater levels, water quality degradation, and subsidence. Ms. Babbitt then turned to her experiences working with EDF to advance water trading to date, and in particular, the challenge of groundwater allocations. Back in 2015, when SGMA implementation was just getting underway, not too many groups were thinking seriously about the different projects and actions they are going to achieve sustainability. In order to build the knowledge base and identify some of the uncertainties, the EDF worked with Mammoth Trading to develop a water trading paper intended to demystify trading programs and how they might work under SGMA. They also hosted a series of workshops with the Water Foundation and with Mike Young, one of the architects of Australia’s water program, that brought in legal and technical experts. Through all of these efforts, the one big challenge identified was the role of groundwater allocations as a foundation to these programs. She also acknowledged that not all Groundwater Sustainability Agencies are thinking about allocations – there are other strategies, and not all of the GSAs that are thinking about allocations are thinking about water trading programs, although allocations do pave the way for those programs and other incentive programs to be placed on top. But you can’t have a water trading program if you don’t have clearly defined groundwater pumping rights, she noted. EDF recently released a paper with New Current Water and Land, a groundwater management strategic consulting firm in the Central Valley, that offered some recommendations for GSAs as they consider groundwater allocations. The paper provides some information on groundwater rights and parties, and lays out some potential allocation methods as well as some advantages and disadvantages of each approach. Justice Robie noted that in the Antelope Valley adjudication, there were carrot growers that used 2 acre-feet per acre per year and the alfalfa growers, who used 5 acre-feet per acre per year. “Now it occurred to me, the parties were not going to raise the constitutional waste of water or reasonable use provision because the only people in the adjudication were just the water users, and so they’re not going to do that,” he said. One of the recommendations in the paper is that when moving forward with groundwater allocations, the role of groundwater rights and priorities must be considered to the extent possible. “We make the case if you devise groundwater allocation schemes in a manner that’s consistent with the fundamental principles of groundwater law, the allocation scheme they devise will more likely be durable and legally defensible,” she said. There are other considerations to be thinking about with respect to allocations. 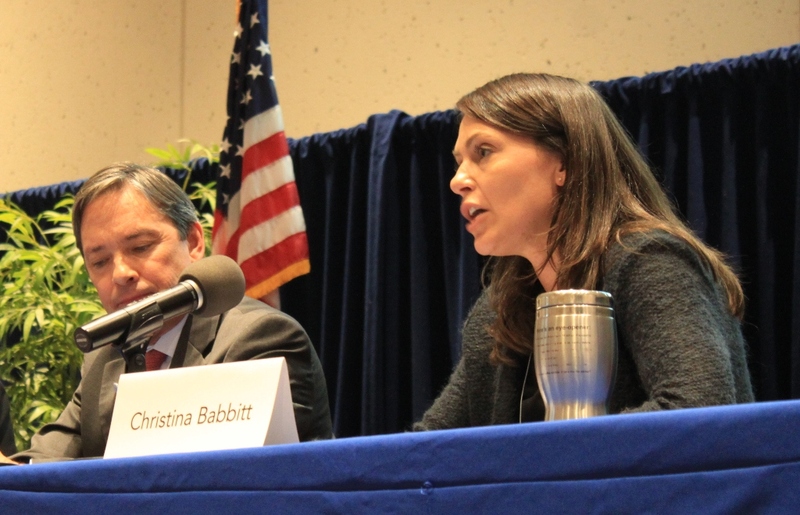 Ms. Babbitt acknowledged that she works for an environmental organization so perhaps that’s her bias, but the needs of the environmental and the communities need to be considered up front when thinking about groundwater allocations, because one can’t develop an allocation scheme, throw a trading program on top of that, and hope things turn out well. It’s probably not going to work out, she said. Ms. Babbitt said she thinks the SGMA process offers a lot of promise in bringing local groups together to devise groundwater management solutions that are tailored to local conditions. When stakeholders come together and agree, they have good leadership, then the path forward is going to be a lot smoother, she said. Noting the Las Posas and City of Ventura adjudications will be the first under the new law, so it will be interesting to see how these cases lay the foundation for how the SGMA process in these streamlined adjudications will play out on the ground. Even with the new legislation, adjudications are going to remain expensive, time consuming, and take a lot of resources, which unfortunately in California groundwater management, are not in ample supply, she said. Ending on a hopeful note, she said that in advancing the SGMA process, if people can’t come together to come to an agreement, there are probably ways to use those streamlined adjudications to establish clear deadlines in how to move forward while also creating certainty around pumping rights. Justice Robie asked that if an agreement was worked out among a basin, why couldn’t that agreement be a stipulated adjudication? Then you would have definitive rights and they could be much more flexible in the future. Mr. Garner said that it absolutely could. The Mojave court basically said that the parties could stipulate effectively whatever they wanted to; the issue was that if they were impacting other users who don’t agree, they would want to challenge it. Justice Robie noted that the Long Valley case says that unexercised riparian rights have to be recognized; is that still an issue? Ms. Babbitt noted that groundwater managers on the ground need to know what the possible scenarios are that they could move forward with. They are working to develop some sort of legal guidance so managers can weigh their options. Question: Christina, I’m having a difficult time conceptualizing water trading. Can you give an example of water trading that has occurred or typical of water trading? Question: Do any of you have any thoughts about the recent quiet title action down in the Paso Robles basin? My understanding is that the landowners there were incentivized to pursue that and to be aggressive with that, possibly with a fear of what might happen with the parallel SGMA process. What is the intersection between that quiet title action and SGMA? “That was a preemptive strike, basically,” said Justice Robie. Question: One of the features of the groundwater adjudication law that was important to the administration was the provision for a preliminary injunction, the thinking being that the obvious reason for preliminary injunction is to prevent irreparable harm during the decades before you reach judgement. The administration also thought this might promote settlement, because people who could live with the preliminary injunction might decide to settle and it might focus the issues on how to change from interim relief to the final. My question is, do you think that’s going to work? Do you that that will be effective, speed up adjudications? Justice Robie added that what the court would be saying is, now the lawsuit has been filed, everybody stop where you are and we’re not going to let you pump further amounts while we’re adjudicating, which was not possible under the old law. Question: We’ve talked a lot about how SGMA says it doesn’t change existing water rights, but it does have an exception in there, and so my question’s going to be whether you think the exception is going to matter. 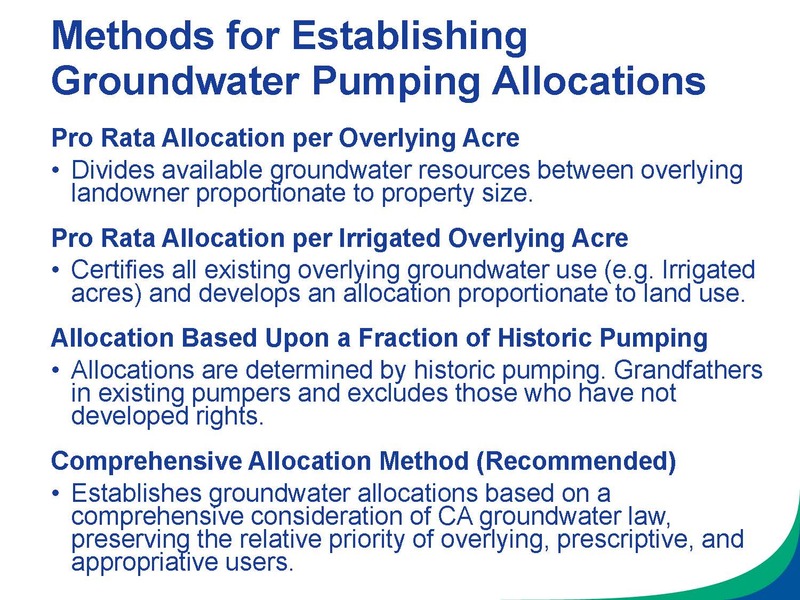 The exception in SGMA is that between the time of the passage of SGMA and the time of the adoption of a groundwater sustainability plan, nobody can use any new pumping or increased pumping in a claim of prescription. Do you think it’s going to matter in a post-Mojave world? Learn more about SGMA and SGMA implementation at the Groundwater Exchange.